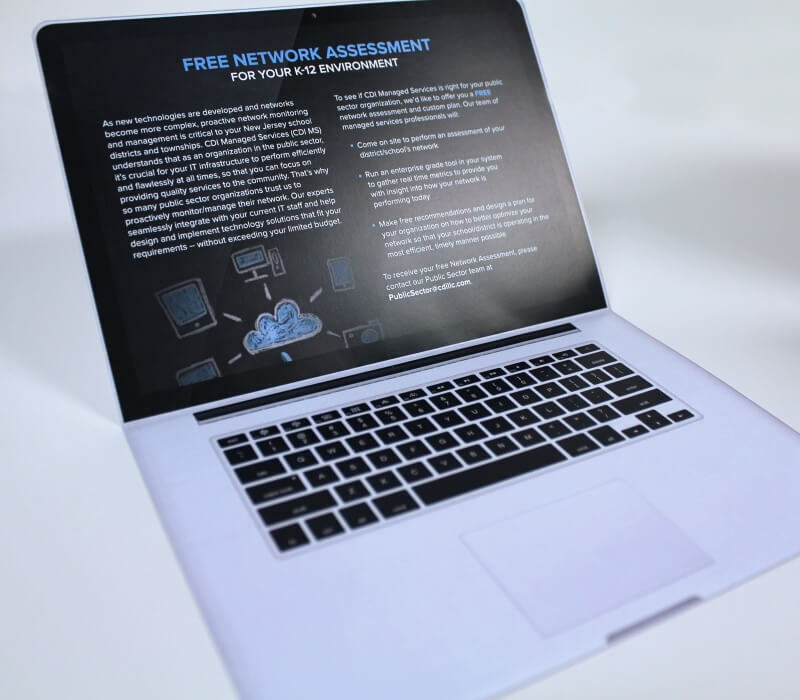 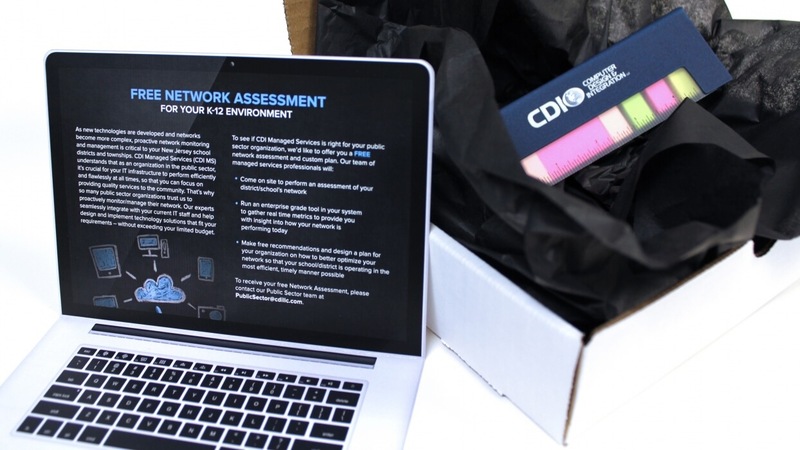 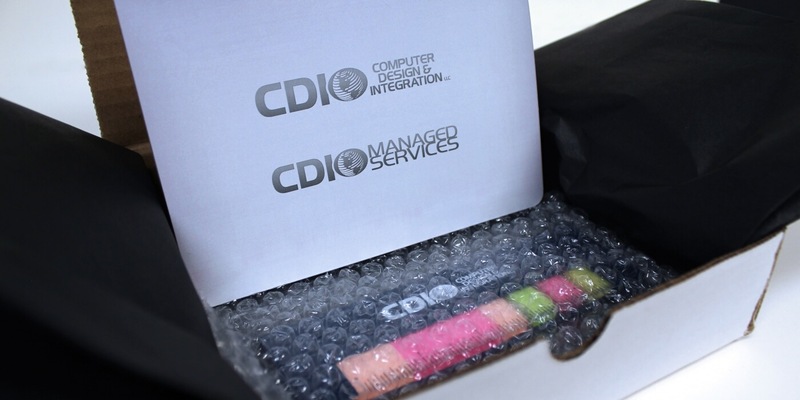 Our friends at CDI wanted to target faculty at K-12 schools in order to drive awareness for CDI Managed Services (a program designed to improve networks and help districts maximize technological efficiency). 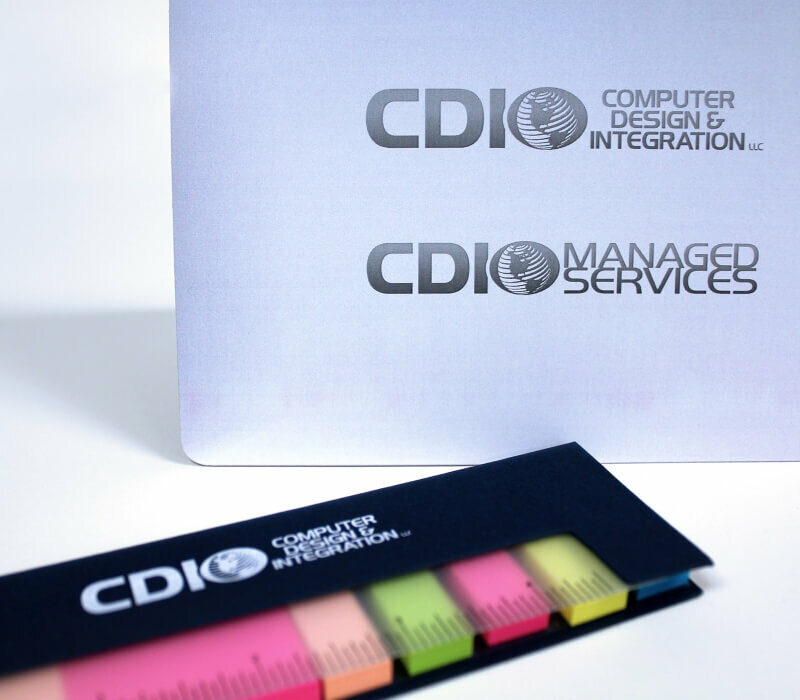 We designed a die-cut mailer that looks like a laptop, and included an interactive ruler-shaped sticky note to match the “education” theme. 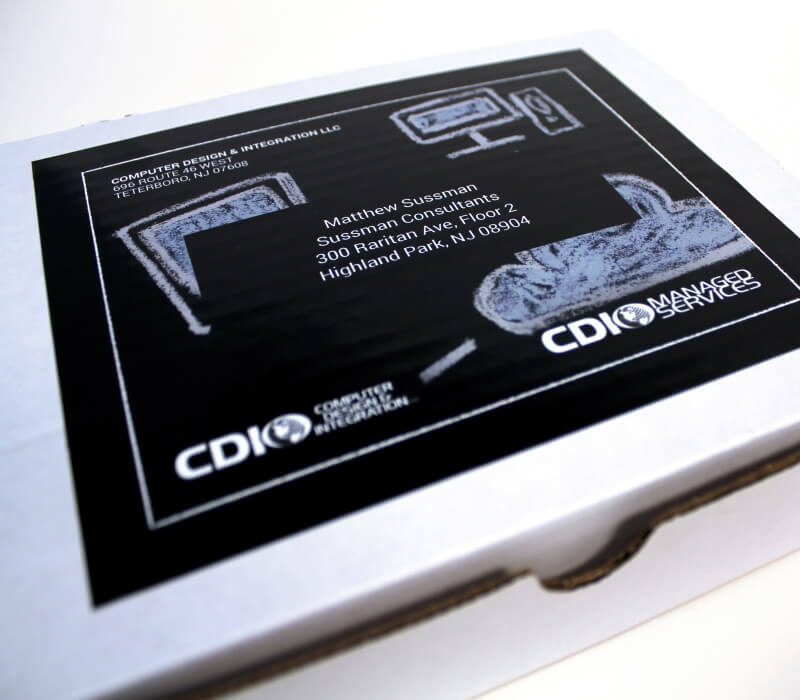 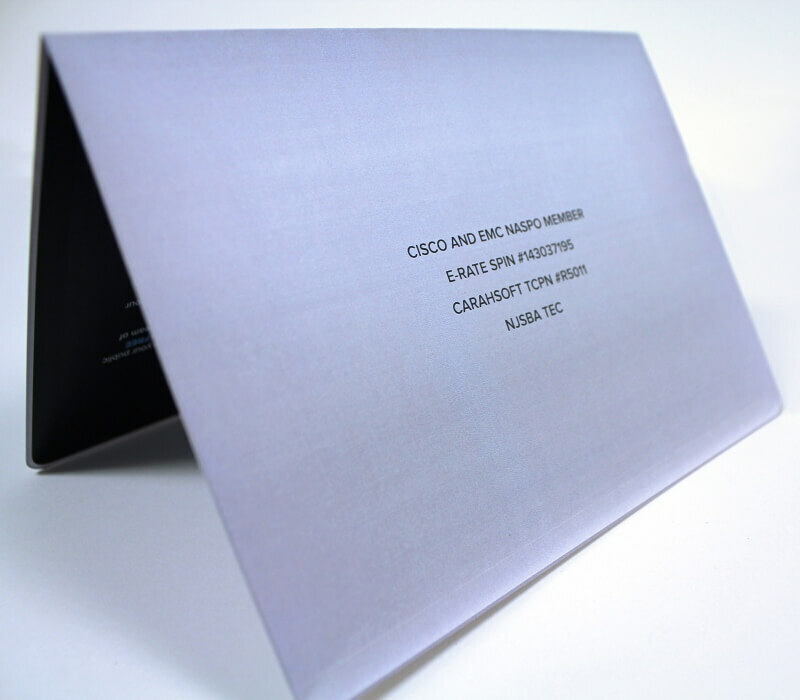 We handled the entire project from concept through design, printing, packaging, and mailing for a totally seamless project that got A+ results!